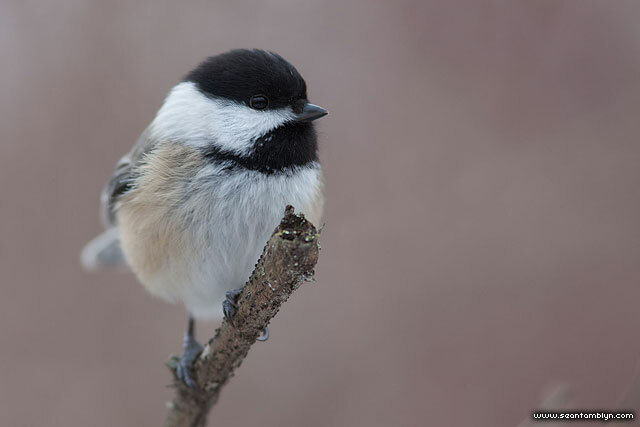 A Chickadee puffs itself up against the cold of winter, searching for food behind the filtration plant. This entry was posted on Monday, January 31st, 2011 at 6:35 pm. It is filed under Birds, Chickadees, Lagoon Report XVII, Lagoon Reports, Once There Was Winter Part II, Wildlife and tagged with Canon EF 300mm f/4 L IS, Canon EOS 5DmkII. You can follow any responses to this entry through the RSS 2.0 feed.